Twelve focus stacked wide aperture images create an in-focus blossom with an out-of-focus background. Combining focus-stacking with wide-aperture (shallow depth-of-focus) images can create some nice effects. 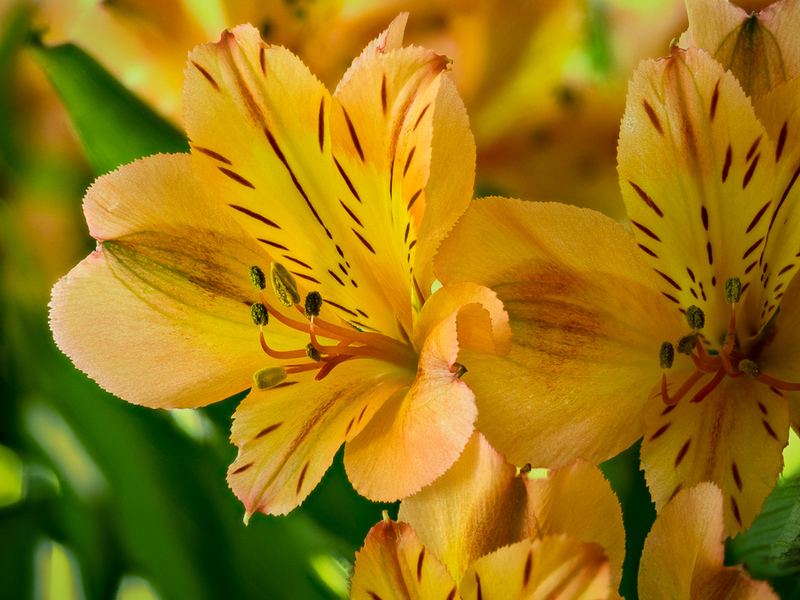 I wanted this alstroemeria blossom to be completely in focus but the background blurred. By using a wide aperture (f/2.8) and 12 images varying the focal point, the stacking operation enabled nice crisp focus on the entire blossom but the out-of-focus background remained soft, almost watercolor-like. It’s a combo you won’t be able to get with a single image.